The Internal Revenue Service advised tax professionals and taxpayers today that pre-paying 2018 state and local real property taxes in 2017 may be tax deductible under certain circumstances. The IRS has received a number of questions from the tax community concerning the deductibility of prepaid real property taxes. 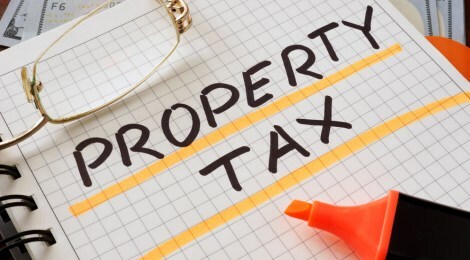 In general, whether a taxpayer is allowed a deduction for the prepayment of state or local real property taxes in 2017 depends on whether the taxpayer makes the payment in 2017 and the real property taxes are assessed prior to 2018. A prepayment of anticipated real property taxes that have not been assessed prior to 2018 are not deductible in 2017. State or local law determines whether and when a property tax is assessed, which is generally when the taxpayer becomes liable for the property tax imposed. The following examples illustrate these points. assessment and billing the property tax in two installments with the first installment due Sept. 30, 2017 and the second installment due Jan. 31, 2018. Assuming taxpayer has paid the first installment in 2017, the taxpayer may choose to pay the second installment on Dec. 31, 2017, and may claim a deduction for this prepayment on the taxpayer’s 2017 return. Example 2: County B also assesses and bills its residents for property taxes on July 1, 2017, for the period July 1, 2017 – June 30, 2018. County B intends to make the usual assessment in July 2018 for the period July 1, 2018 – June 30, 2019. However, because county residents wish to prepay their 2018-2019 property taxes in 2017, County B has revised its computer systems to accept prepayment of property taxes for the 2018-2019 property tax year. Taxpayers who prepay their 2018-2019 property taxes in 2017 will not be allowed to deduct the prepayment on their federal tax returns because the county will not assess the property tax for the 2018-2019 tax year until July 1, 2018. The IRS reminds taxpayers that a number of provisions remain available this week that could affect 2017 tax bills. Time remains to make charitable donations. See IR-17-191 for more information. The deadline to make contributions for individual retirement accounts - which can be used by some taxpayers on 2017 tax returns - is the April 2018 tax deadline. IRS.gov has more information on these and other provisions to help taxpayers prepare for the upcoming filing season.